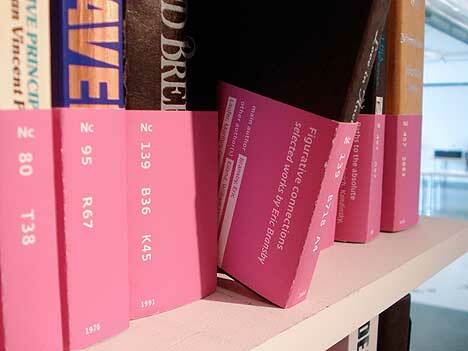 Valerie Madill proposes a new way of perusing library shelves by inserting the books into colour-coded sleeves that provide substantial at-a-glance bibliographical information about each book. 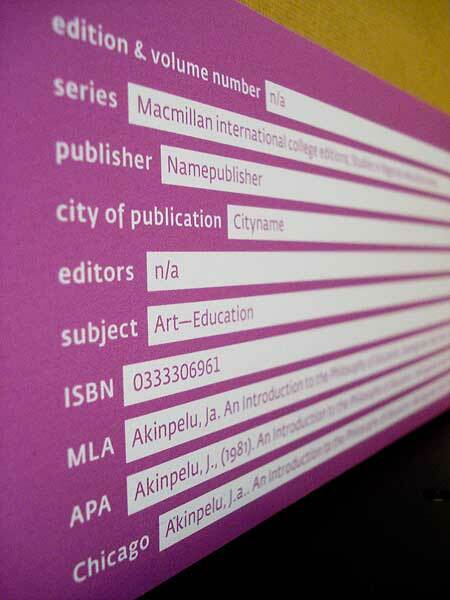 Important information can be accessed without opening the book, or even pulling it right off the shelf. The user can locate the object of a search faster by honing in on the appropriate wrap colour. 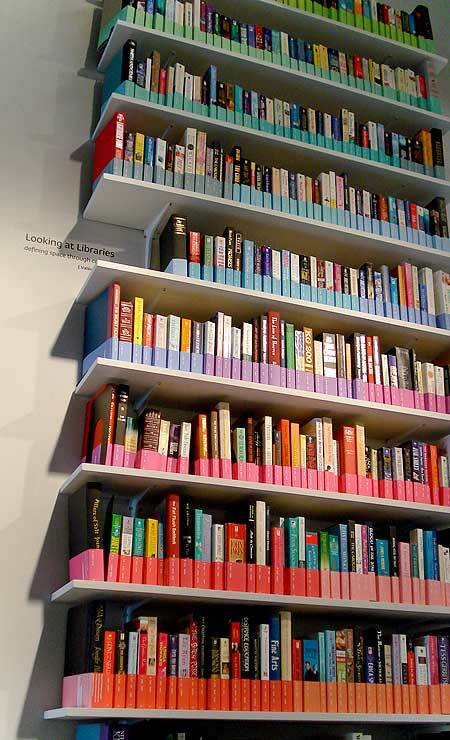 You are currently reading A new type of Library at PICDIT.